Pumpkin is back in our lives again! After going to several different grocery stores I finally found canned pumpkin at our local Trader Joe’s. To kick off the season of all things pumpkin, I made M her favorite mini muffins. I’ve talked about our love of muffins before, but there is something about mini muffins that little kids love. 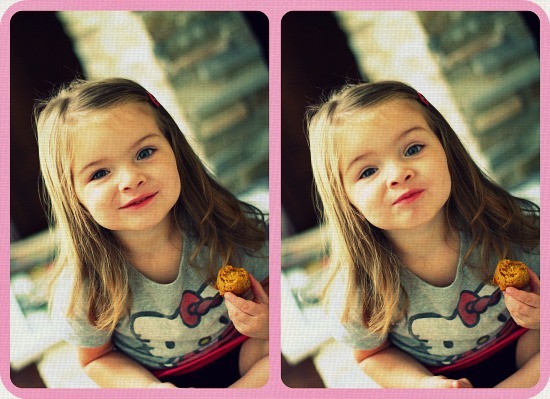 Little muffins for little hands makes my girl very happy. 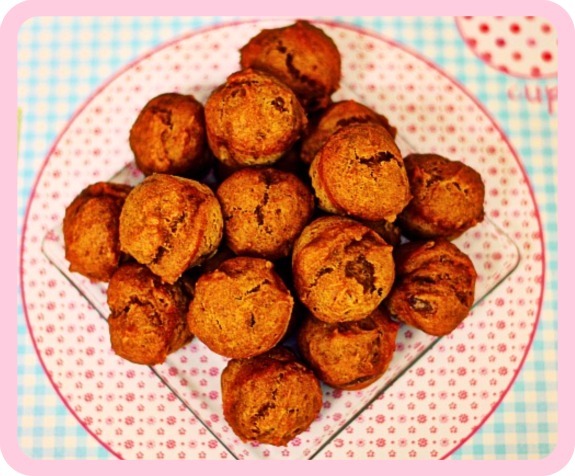 To make these vegan mini muffins all you do in combine your flour, sugar, pumpkin spice, baking soda,& salt in one bowl and mix. In another bowl mix together your canola oil, applesauce, pumpkin, and vanilla. Add your wet ingredients to your dry ingredients and stir until all ingredients are mixed through. Scoop the batter in a muffin pan and bake until golden brown. My little snacker was very happy. Preheat oven to 325 degree. Spray your mini-muffin pan with non-stick cooking spray. 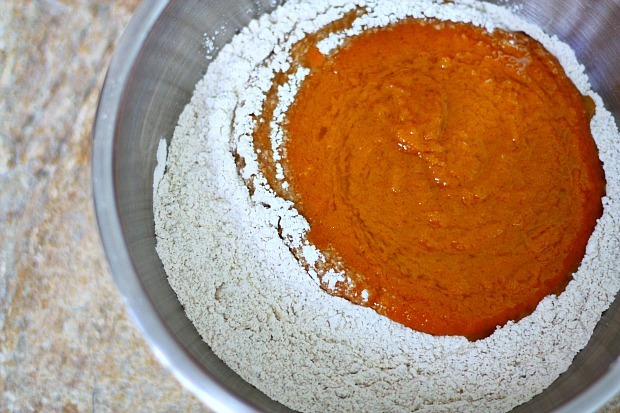 In a large bowl combine the flour, sugar, baking soda, pumpkin pie spice, and salt. Whisk together to combine. Set aside. 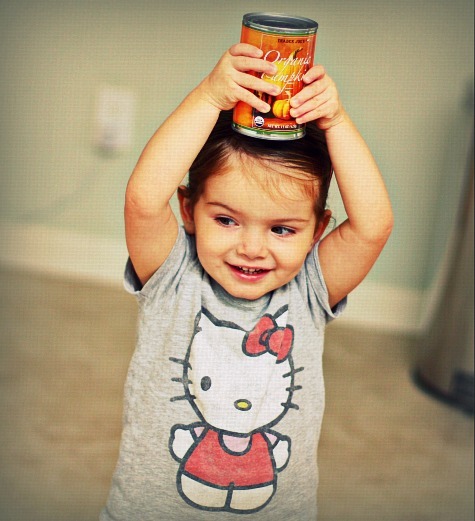 In a smaller bowl, combine your apple sauce, canola oil, vanilla, and canned pumpkin. Stir until all ingredients are combined. Using a small spoon or a melon ball scooper, scoop the muffin batter into the muffin tin. Only fill each cup 3/4 full. Bake for 15-20 minutes rotating pan once halfway through cooking. I love all of the pumpkin recipes I am seeing lately and will definitely need to make this one! 🙂 Thanks for the idea! 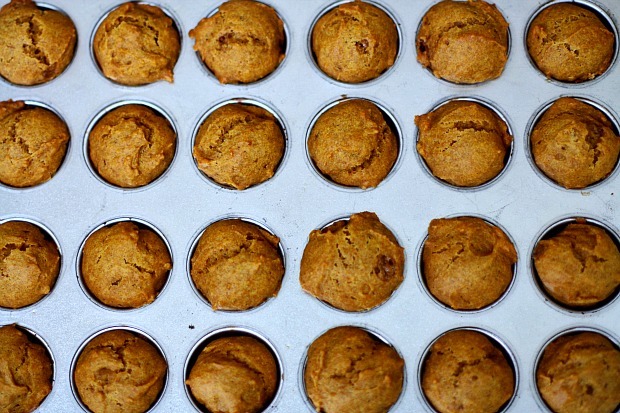 Hmmmm…Pumpkin muffins might make it feel like autumn here if the weather won’t ! They look yummy ! Sending a kiss back to that little cutie and her sister too ! My favorite! YUM! M looks like she’s doing well! I hope things are going ok with every thing lately! these look sooo good and the last pics of M are adorable!!! Yum! These look good! I’ll definitly make these!! ooh I can’t wait to try these! These will be perfect to make this weekend since my boys just finished off all the zucchini muffins I made a few weeks ago. (I make a huge batch and freeze them individually wrapped for after-school snacks. )Love the photos too.